As you might know, 2 years ago I became a new mummy to a baby boy. I couldn’t imagine it any different now, but I have thought long about becoming a mom and this is why. I worry a lot about our planet because it doesn’t look good for the next generations and I want to leave my child with a healthy planet that he can be proud of. 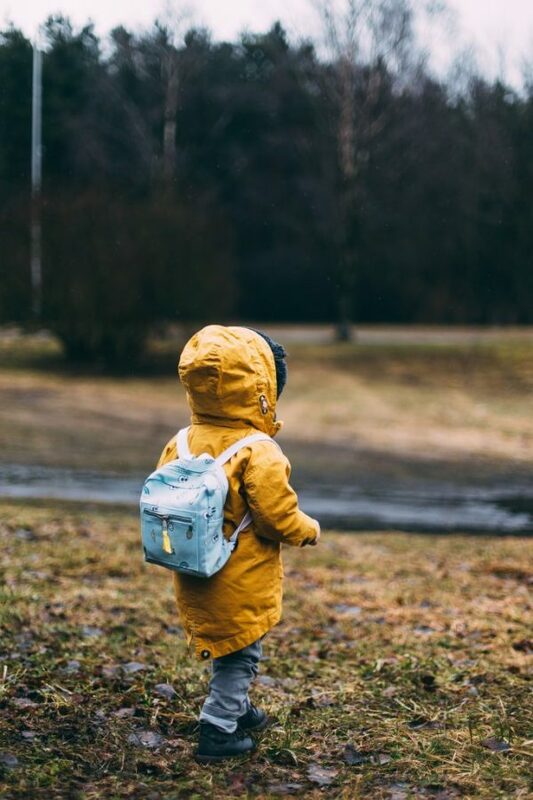 But yes, I decided to have a child, so I want to teach him about the world so he can see all the beauty and hopefully contribute to a sustainable planet. I’m also selective about the products I buy (boycotting palm oil is a daily struggle) and especially with a baby! It’s hard and often more expensive to remain sustainable at all times. This is when I came across the Greentom, a product that was going to be a huge part of my new life as a mother. 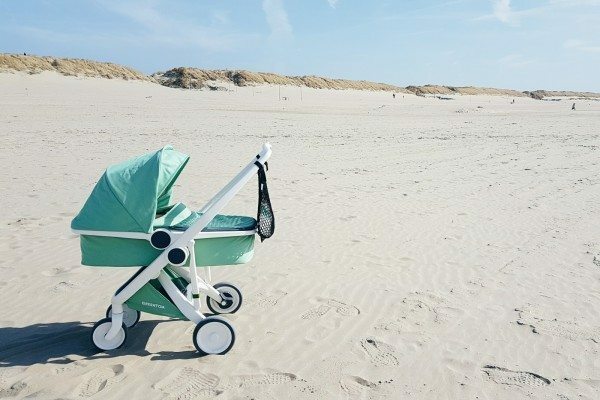 Greentom is a brand that has created a stroller recycled from plastic bottles. 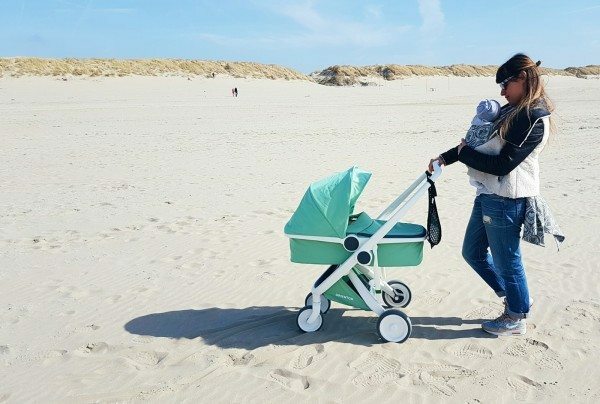 Dutch designer Bart Bost wanted to create the first truly honest stroller. It needed to be particularly practical and sustainable. Well, it has Elke written all over it. Buying baby stuff can be quite overwhelming let me tell you! With all the different brands from luxury-expensive-over the top to bad quality strollers out there, this was exactly what I was looking for. Greentom’s mission is to create 100 percent green products. The fabrics are entirely made out of recycled drinking bottles. They collect bottles all over the world. That limits the impact of shipping. It also means a stroller is made from natural and recycled sources nearby. And it stimulates local economies! I decided to go for the 2-in-1 edition that most parents choose. Meaning; you use it flat for the first few months and once your child can sit up straight, you can change it into a reversible. 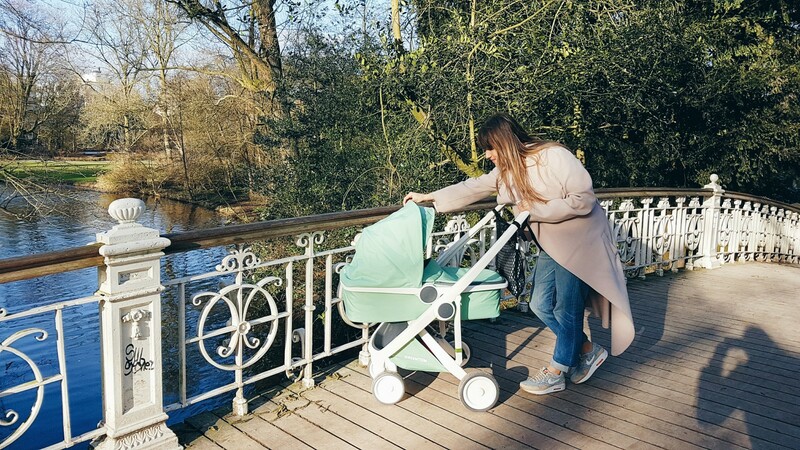 Besides being sustainable, I think one of the best features is that it’s one of the lightest strollers out there at the moment. Light as a feather! You can easily turn it around with one hand or lift it when you need grab a few stairs. It also folds in real easy, so no need to stress when you need to get into your car. The wheels are not filled with air like most strollers so you need to be a little careful when you ride over a sidewalk, simply lift it up a little to avoid a full stop. The stroller also comes with several extra’s that you can buy online. I also got myself the rain cover (need to have one if you live in The Netherlands! ), and a car seat adapter. The organic fabrics come in many different colors so you can certainly find your favorite. I picked mint green and I get so many positive comments out on the street! It’s a true eye catcher and a great conversation maker, which then results in me talking about the beauty of this product. And guess what, it’s very affordable too. 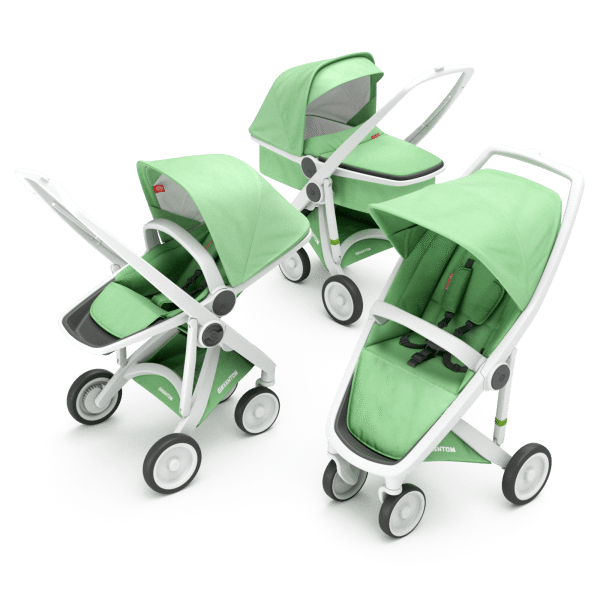 You pay around 1200 euro for a stroller nowadays but the Greentom 2-in-1 is available from just €499,-! That includes the carrycot and reversible. The GreenTom is one of those brands that is making planet earth a little better and I’m totally for it. For more info and online shop visit their Website. Traveling with kids can be challenging. 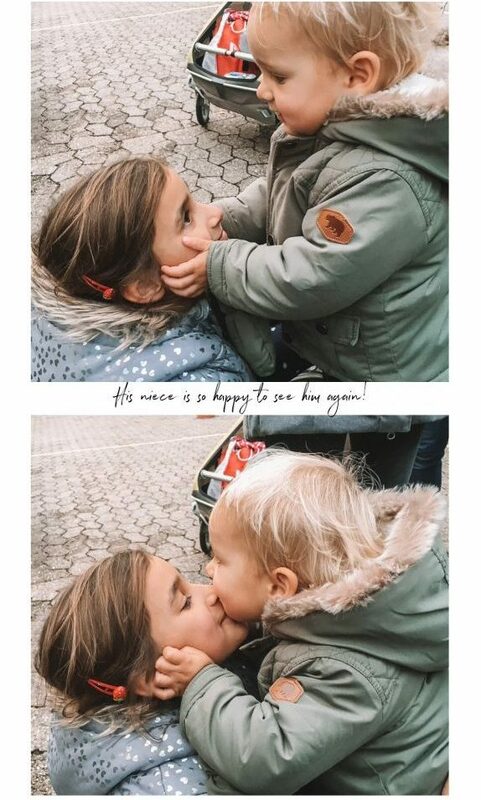 The traveling parent knows that when you’re kid is happy, you are happy. Thank god for the JetKids BedBox that I tested on my latest flight. When I was 11 years old, my sister moved to Germany and she has been living there for over 25 years. I lived in London for over seven years, traveled the world since then, and my parents stay in Bali every winter. Because of our exploring nature, we are not always together during the holidays. And since I have become a mum, the need to see each other is getting bigger. This year is no different, I’m traveling to Asia during the holiday season, so it was time for a quick pre- Christmas visit to my sisters house in Germany, and I took my little boy and my mum along to surprise them. 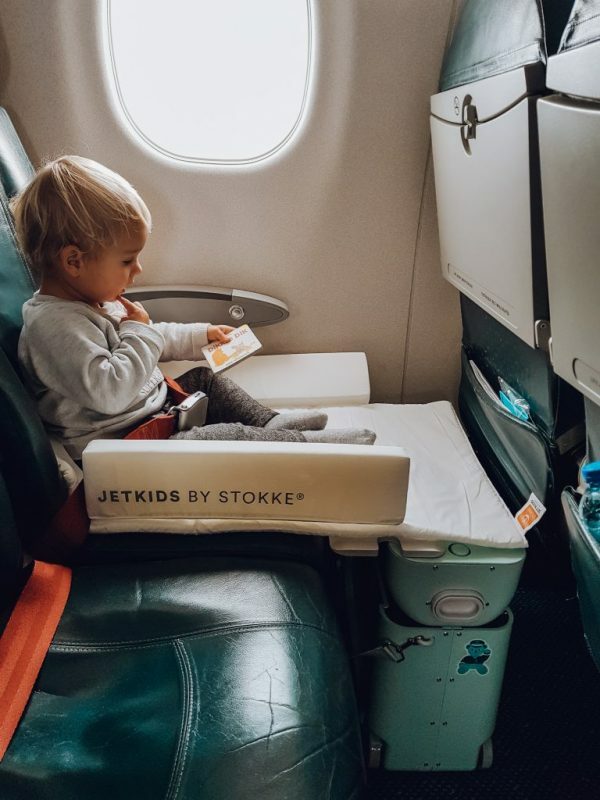 The JetKids by Stokke Collection is specially designed so that parents can travel smarter with their children. My sis lives near The Black Forest in the south of Germany, so it’s only a short flight to Basel. However, if you are traveling with a young child, any minute in the plane has to be accounted for. 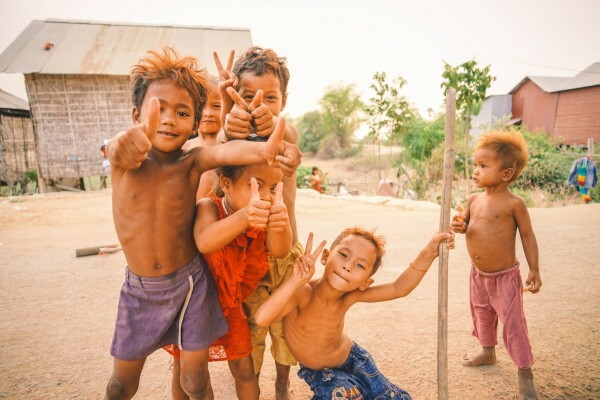 I bring books, drawing materials, toys and food, but kids are kids, and you should make them as comfortable as you can, to survive a hassle free travel experience. 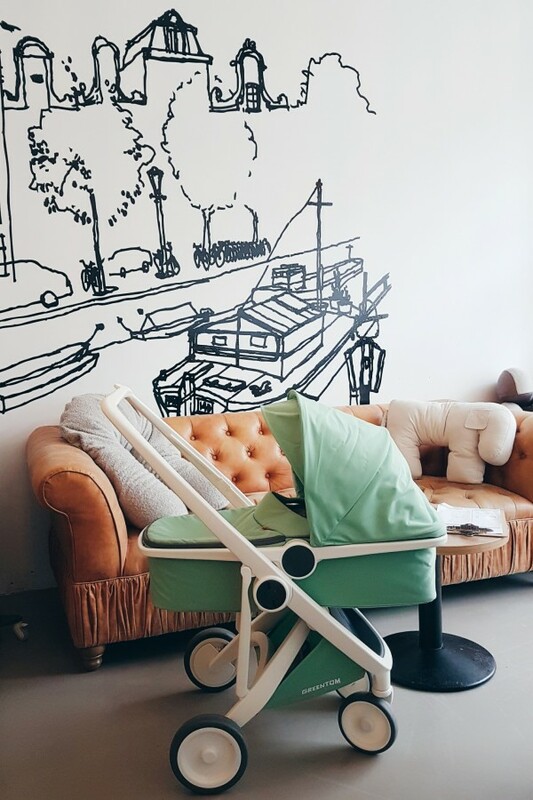 If you are a parent, you must have heard of Stokke, famous for their innovating and award winning kids chair. Since of May 2018, they own 51% of JetKids. 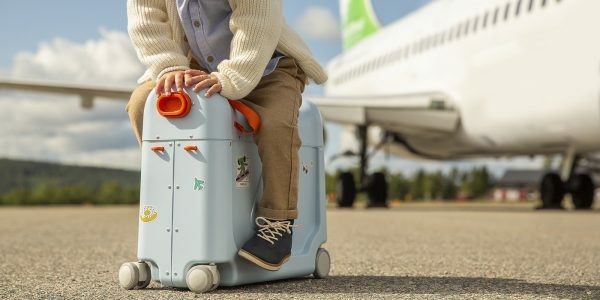 This new collaboration between the 2 Norwegian brands means that they can offer even better solutions in the ever growing market of family travel. When you arrive in the plane, store the JetKids Bedbox under the seat in front of you. Once the seatbelt signs are off, it’s easier to install! Click off the cover by pressing the sides, turn it around and attach again. You can adjust the height to your need. Use the long strap and attach it to your child’s seat (there is a bar under the seat where you can wrap the strap around. And attach it back to the JetKids. Slide out the extension towards the seat your child will be sitting on. Roll out the mattress onto the seat and attach the sides. Your little one is ready to chill! The Jetkids BedBox comes in three new colours; Pink Lemonade, Green Aurora en Blue Sky. You can pimp your JetKids suitcase with the stickers that are included. Pretty cool! Is there no need for a bed during your trip, or is the BedBox not (yet) allowed by the airline company or is your child just too big for the bed? 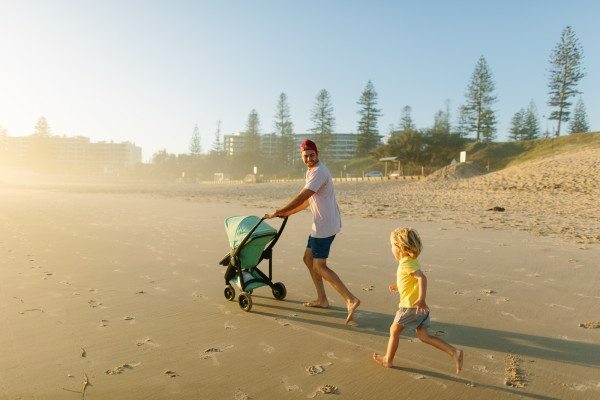 Then choose the JetKids by Stokke RideBox. This new case offers the same features as the BedBox, except for the parts to make a bed. 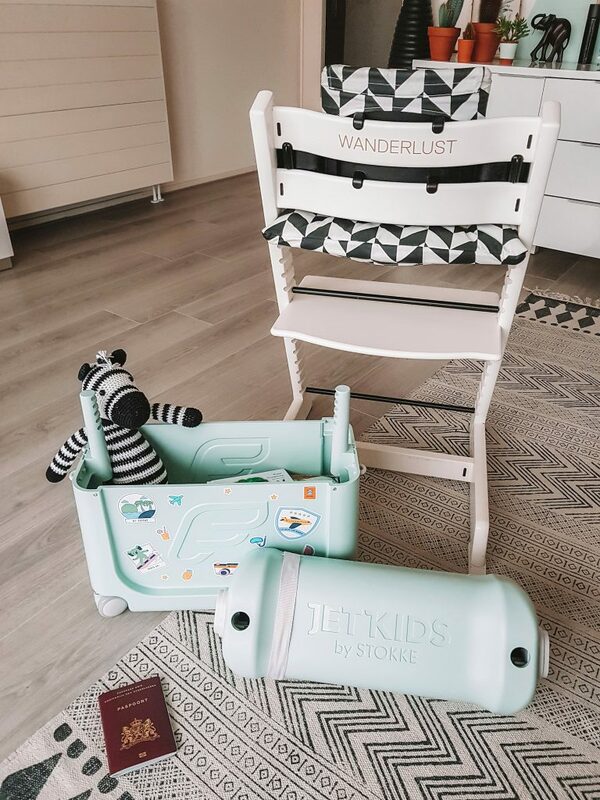 It is therefore possible to ride on the suitcase and it can easily be pulled by both child and parents by the adjustable strap. The BedBox and RideBox both have wheels, and are suitable to ride from the age of 3 up until 7 years old. 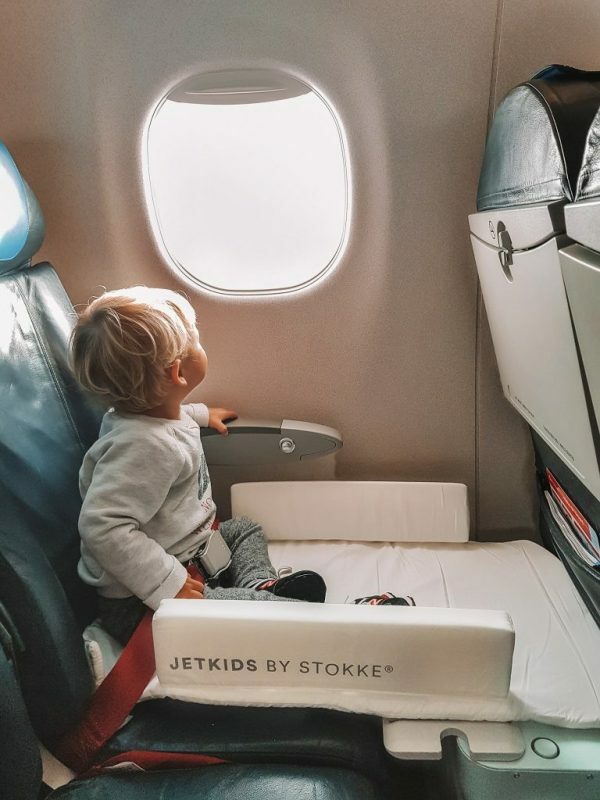 JetKids by Stokke is available ONLINE. 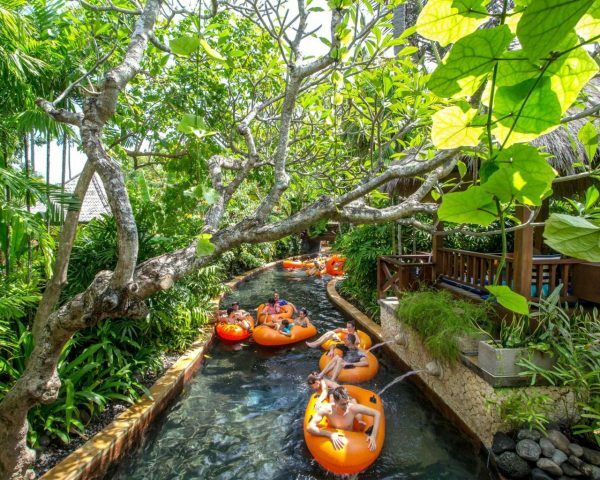 Last month our guest editor Cheryl flew to Bali with her family & friends. 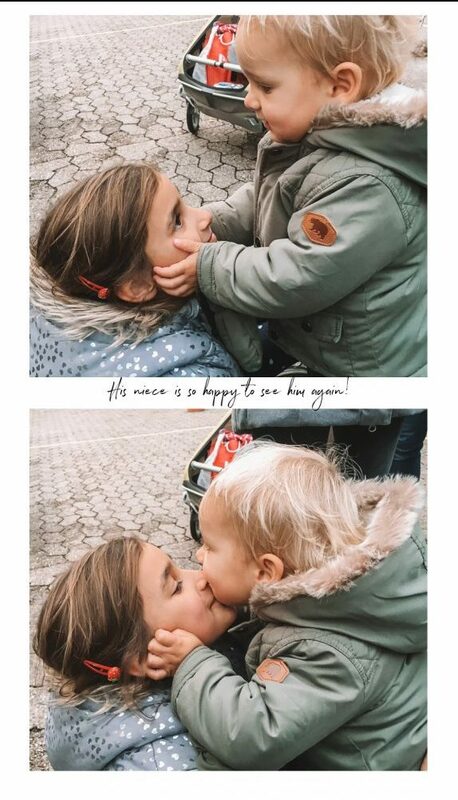 Two years ago, her group of 38 friends (that also have kids) decided to get together at a destination outside Europe. The destination was quickly picked decision: Bali. Back in Holland, with a bag full of tips Cheryl will share her best tips on what to do in Bali with kids. The Sekumpul waterfall is the most breathtaking waterfall I’ve ever seen. Mind you, this waterfall is not suitable for little children (babies or toddlers) because of the difficult hike to get there. But my O my, what a view! Be prepared for this trail. Make sure you have good shoes and enough water for the kids! Costs: 20.000 IRP p/p. 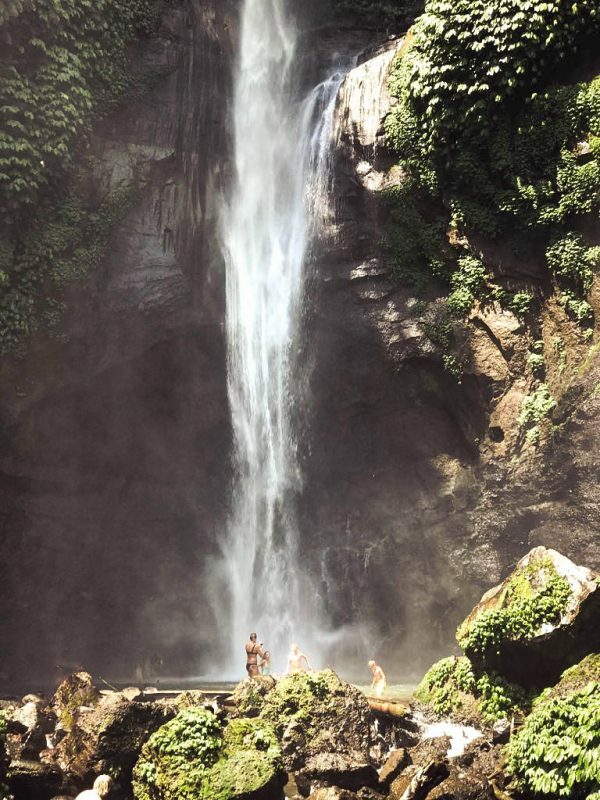 At the Aling-Aling waterfalls are some thrilling activities for adults and older children (+8). Cliff jumping (5 and 10 meters) and there are also natural water slides. After I tried the 12-meter-high waterslide, my little daredevil also took her chance for this once in a life time experience! For this waterfall we had to pay 125K IRP p/p because there are many guides who help with the activities and watch the children. Even though you have some coral bleaching here too, it is still a fantastic place to dive or snorkel! The ridges and slopes are super dramatic, and the fish are beautiful! You can also spot the occasional reef shark or sea turtle if you’re lucky, so all in one: a great and exiting place for kids. 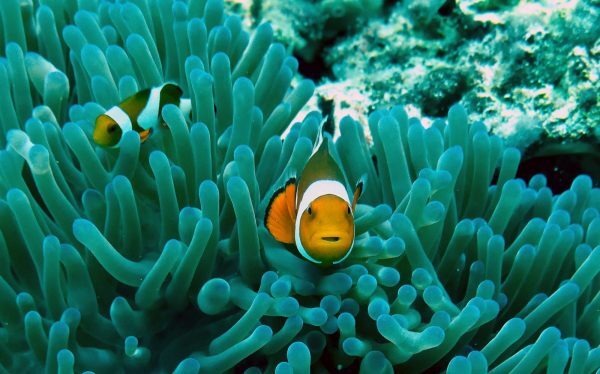 Also, you can actually find Nemo. Snorkling here will cost around 15,- per person. We traveled to Nusa Lembongan to spot some manta’s. Most of time they are easy to spot (they said). Unfortunately, not always. It’s difficult to predict their presence but in July, August and September is the best time to spot some manta’s. If you book a day-boat and can’t spot the manta’s: don’t be sad: there are also lots of nice snorkling places with nice coral around the area. Don’t miss out the spot where the Giant Trevally Fish swim. It might be bit scary at first, because these fish can become 1.7 meters long! I was assured that they are not dangerous so took a dive with my little daredevils! 200K IRP (per person). 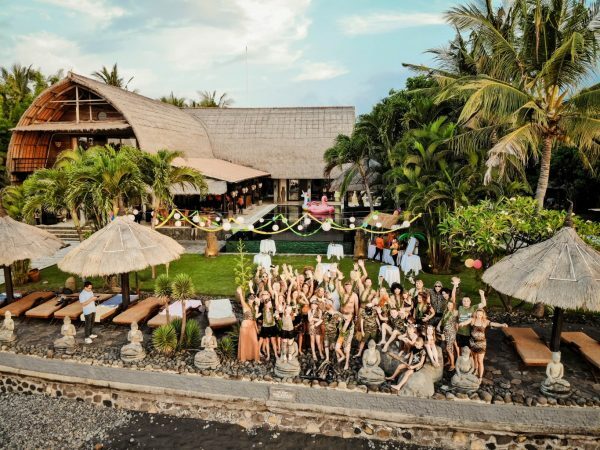 Bali with kids and friends? A vacation not to forget! Don’t forget to love, enjoy and treasure every moment with your loved ones. After all, LIFE IS A PARTY, also when you have kids! 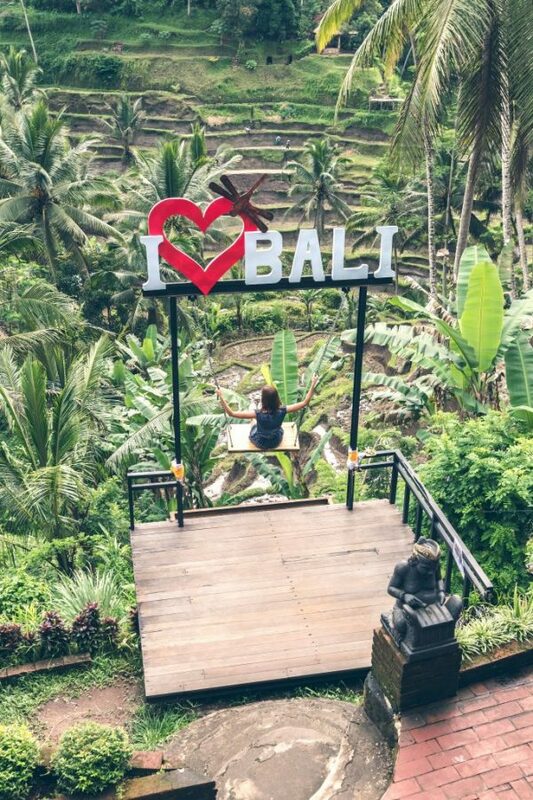 Are you visiting Bali for the first time? Find out what to expect and what you should know before heading to the island of gods. 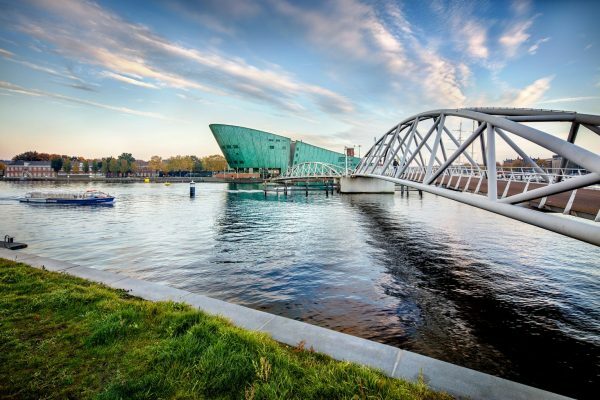 Did you know there are so many cool things to do in Amsterdam if you have kids? One of those is Nemo, the science Museum. I had a look and checked out why it’s so popular. When you enter the museum, the first thing you see is what my niece calls the “soap bubble area“. You can create giant soap bubbles and some are even big enough to stand in. There are several floors in Nemo and perhaps it’s best to describe them one by one. The “Fenomena“ area is full with science we encounter every day like sound and movement. This is also the floor that is most suitable for smaller children. They can learn here how the reflection of sound waves works, why some objects that look the same but are made of an other material, move faster then others and what happends when you mix different colours of light. Here they also have the 15 minute Chain Reaction that they show several times a day. This is great fun for young and old and is moderated in dutch and english. At the “Technium“ there is a very big machine with coloured balls that show you how a logistic process can work. You can set off an order and see how the balls move around the machine and in the end reach their intended destination. In this area you can also visit the world of shapes, huge or tiny chairs to sit on, a big wheel that slowly turns and in which you can create beautiful patterns and a room where you can trick your brain, because small kids turn into giants and the other way around…my nieces favourite! At the “Elementa“ you can find the exhibition: Life in the Universe. They have this huge screen where you can play a videogame and protect the earth from dangers from outta space such as comets, meteorites and Solar Wind. The kids take a shield and hold them above their heads and the movement is shown on the screen. Kids from every age love this exhibition. They also offer 30 min. science workshops, that starts at 11:00 during the weekends, and during the week at 12:30pm. Kids from age 6 can attent. Unfortunately we ran out of time and didn’t have time for it. At the top floor there is, among other things, an exhibition about puberty. For my 7 year old niece this wasn’t so interesting, although the french-kiss-machine caught her eye! haha. Most of the experiments and tests on this floor are for older kids. The same applies to the journey through the mind on the same floor. Very interesting though! Nemo has a very nice restaurant with a large outdoor terrace which is also accessible without a museum ticket. 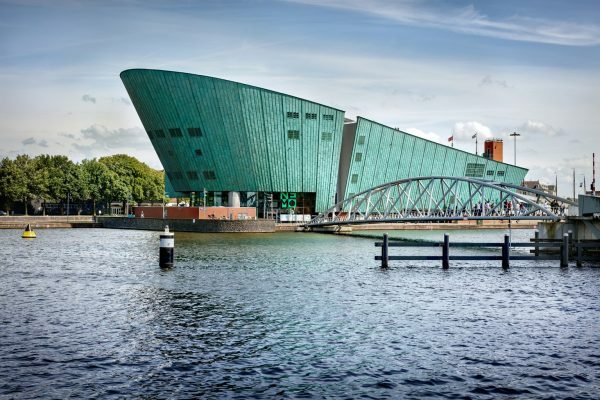 Totally worth a visit, because it has a nice view over Amsterdam. 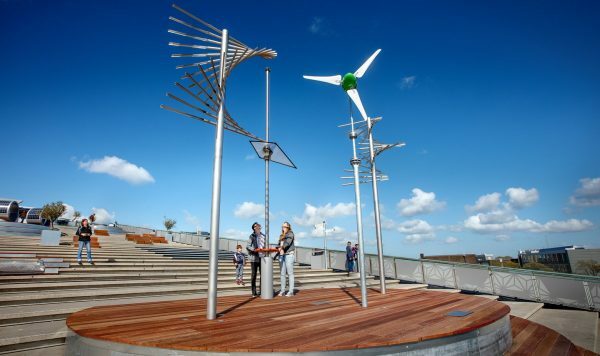 There is an outdoor exhibition called “energetica“ with wind- and water-sculptures, pretty cool! There are also 2 smaller cafés inside the museum where you can get drinks or enjoy a Dutch “tosti”. Prices in the restaurant are above average but still ok. There are free lockers which are video surveillance, so you can leave your stroller or buggy there if you do not want to take it into the museum. If you can, go on Saturdays rather then on a Sunday, it is a little less busy. Rush hour is between 12 and 2 pm because the early birds and the people that arrive a little later, overlap. Most people stay around 3-4 hours in the museum, so manage your time carefully. It’s not encouraged, but you can bring your own food into the museum. Great for people with allergies! Nemo rocks. It’s so cool that they’ve designed a massive museum, just for children and their families. More importantly, Nemo triggers, teaches and inspire, all at the same time. All in all, I had a great day and spent 3 hours in the museum, but I could have easily stayed much longer. When you’re traveling with children you might wonder which gadgets cannot be missed whilst travelling. Which gadgets you need also depends on the age of your children. A baby has different needs than a teenager obviously. 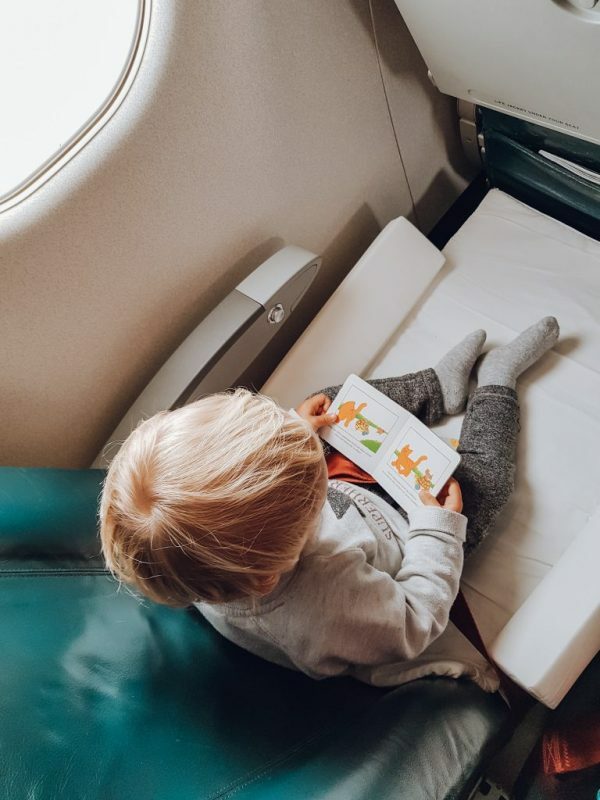 I have created a list of the 7 most important travel gadgets for kids that will make traveling as comfortable as possible. A well-deserved first place because where would we be without the iPad? It doesn’t matter which model you take with you, just download a few nice movies and apps and your traveling is a success. A tip for parents: download a few series from Netflix in advance so you and hubby can watch your favorite serie while the kids are asleep. 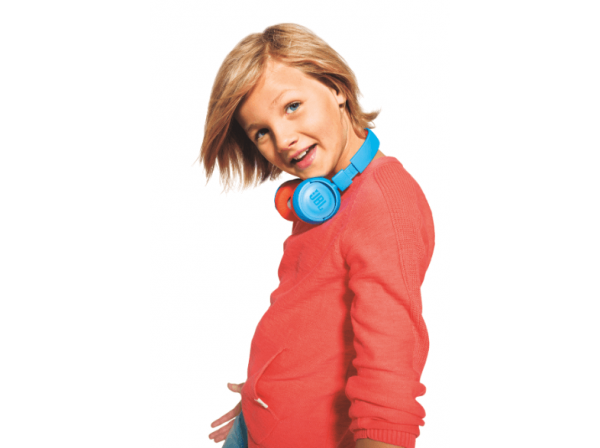 A headphone specially designed for children, often have smaller ear cups and are available in the most beautiful and funky colors. Headphones for children are limited to prevent hearing damage so pay attention when using the maximum volume for a long time. Our children (12 and 8) have a JBL T450BT and are very satisfied with it! Traveling without electronic equipment is almost unthinkable nowadays. Mobile phones, iPads, Bluetooth headset, camera’s and I can go on and on. During a long flight, power banks are a must have. Nothing is more annoying when the iPad drops dead during a fun movie for the children. Be prepared. If you are an adventurous traveler and you have kids, you’re going to love the Kelty Child Carrier. This way you and your child can enjoy the view plus you can store your belongings, food and water inside the attached backpack. The 5-point child harness has a convenient child leg-secure system and is comfortable. 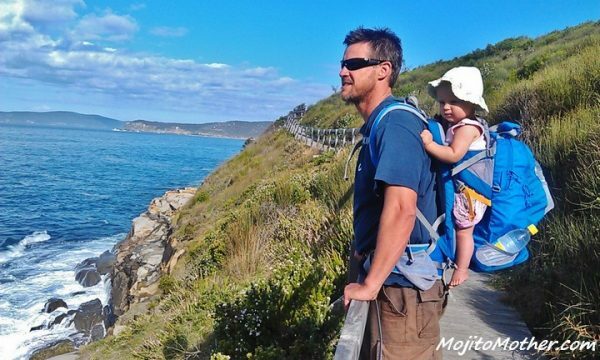 It was voted as one of the best hiking essentials if you’re traveling with kids and can carry a child up to 18kg! Get it here. The best travel gadget for kids? Ok, this gadget is also fun for parents. The Go Pro is an action camera and is especially suitable for filming during extreme conditions. Adventurous journeys must be recorded right? The Go Pro is especially recommended with kids because you can also take the camera into the sea and the pool. Children can play with it for hours and you end up beautiful images and movies. There are also special accessories available for children that make filming even easier (the chest harness for example). OH MY … if only I had done this discovery sooner … What an innovative solution for sleeping on the plane. I’ve had some night flights with my kids let me tell you! Picture this: four chairs where two children sleep across their two parents (not very comfortable). This invention is a gift from heaven for parents with young children. The time of giving up your own personal space on the plane is a thing of the past! Are you a family with teenagers? Then you understand how important WIFI is. There is no existence without WIFI for teenagers (this is an outright disaster). A MIFI can be a godsend! Buy a SIM card with data at your destination and you have Wi-Fi throughout. Your teenager will be so so happy with you! We have the Mifi of TP-link M7350. Works perfectly! 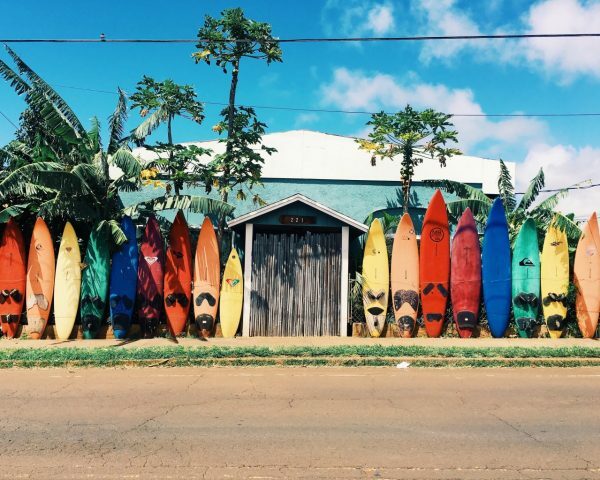 TIP: Although we understand that kids like to spend time on their iPads and other electronic devices, it’s of course much more important to enjoy new adventures and cultures. After all, to travel is to live. My baby boy is almost 9 months old now and I am getting more and more used to the life as a working mom. 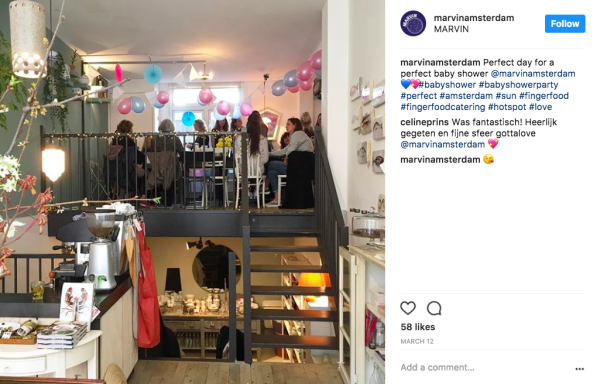 I used to work a lot from home but after a couple of months, I felt comfortable enough to spend my afternoon’s at some of Amsterdam’s best mummy’s & daddy’s hang-outs. Let me tell you, it wasn’t easy finding those places where you can drink a great cup of coffee and fit your stroller/buggy inside without annoying everyone. 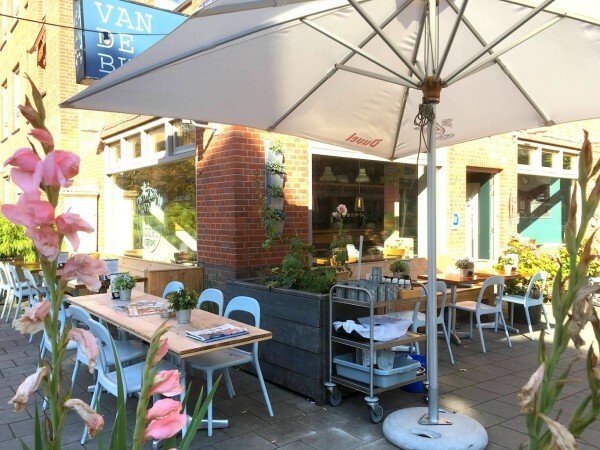 Because I live in Amsterdam New West, I have selected my favourite child & baby friendly cafés in Amsterdam West. This is still one of my favourite hang-outs. I have brought many of my mummy friends here for a coffee or lunch. It’s great because it’s so relaxed and especially great for new mums who are still a bit conscious of breastfeeding in public. Here it’s more than normal because Boezemvriend is actually a breast consultancy, shop and café in one. The shop is beautiful and the lunch is really good! (try the humus and grilled veggie sandwich). There are toys for little ones and many baby chairs that they also sell in the store. Another great thing is the spacious and beautiful set-up baby change area which you can find upstairs. I can sit here for hours! Find out more about Boezemvriend here. 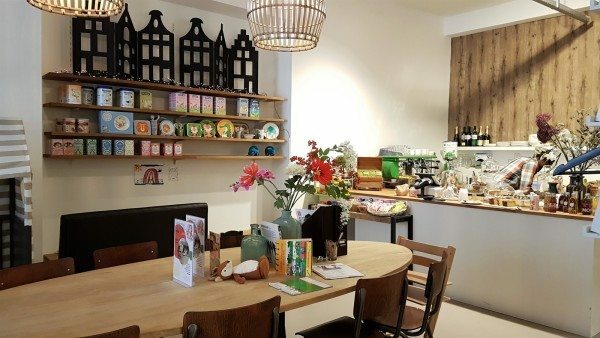 Plenty of options for child & baby friendly cafés in Amsterdam West right? Next time, I will tackle the East-side, until then…enjoy! Do you have children? 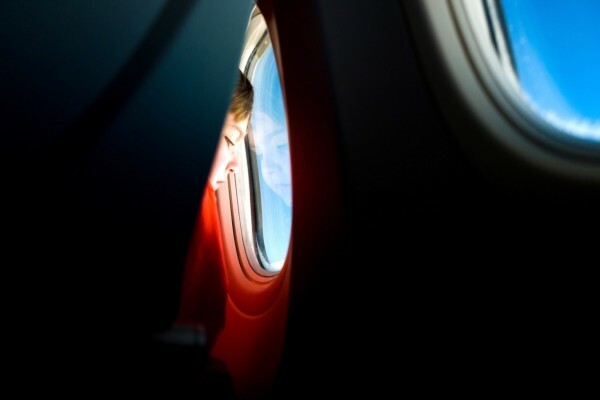 Then you might recognise yourself in this daunting thought; traveling with your kids. This fear may even lead to the decision of not traveling long distance at all. I have some good news for you, it’s not that hard! 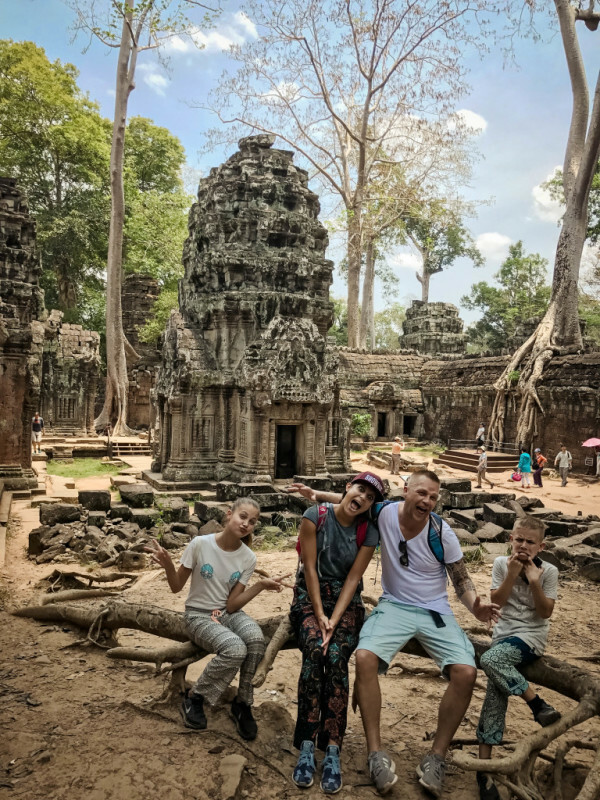 It’s even possible to sit down relax and enjoy the ride… These are 7 useful tips to make travelling with kids as relaxed as possible. Inhale and take a deep breathe. 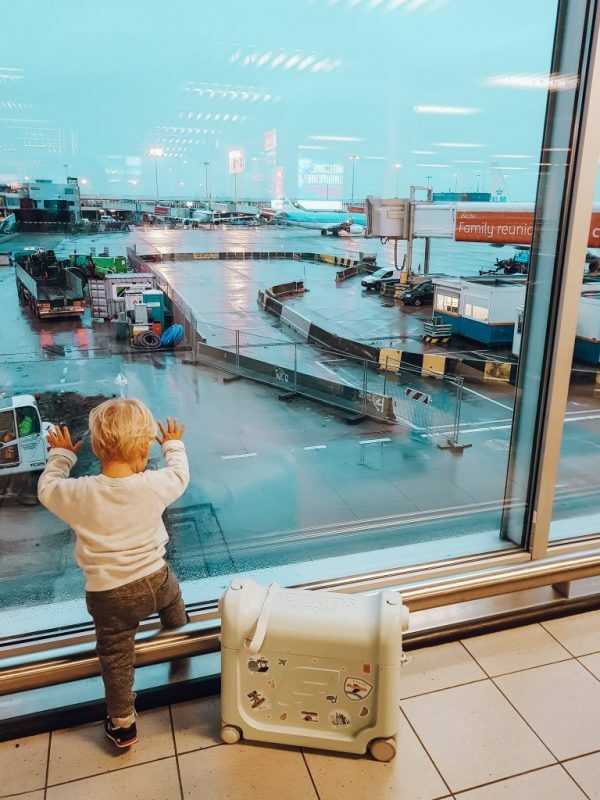 Accept the fact that travelling with your kids won’t always go as planned. It might be an overwhelming thought, but the most important thing to remember is: this will end. You will get to the destination. You will survive! Do yourself (and others!) a favor and prepare yourself and your kids for the trip. If your children are old enough, the best thing to do is inform them about the travelling time and what the day will look like. For example: ask them what they need during the 12-hour flight. My kids love their Donald Duck magazines or books they can read. Bring some snacks, travel games and their favorite cuddly toy. The little screens in the chairs are a godsend for those traveling with small children, and for those sitting around them. If you have your own technology, bring it! In 2014, we traveled through Asia with our family (2 adults, 2 kids, age 6 & 10) with only two backpacks! We seemed to forget that almost everything can be bought abroad. It might not be ‘your’ favorite brand but you’ll manage. When your kids are old and strong enough; let them carry their own stuff (it will make them think twice about all those clothing and footwear they want to pack! My tip for smart & easy packing: packing cubes. Travel packing cubes are the ultimate luggage organizers and maximize the space in your bag. 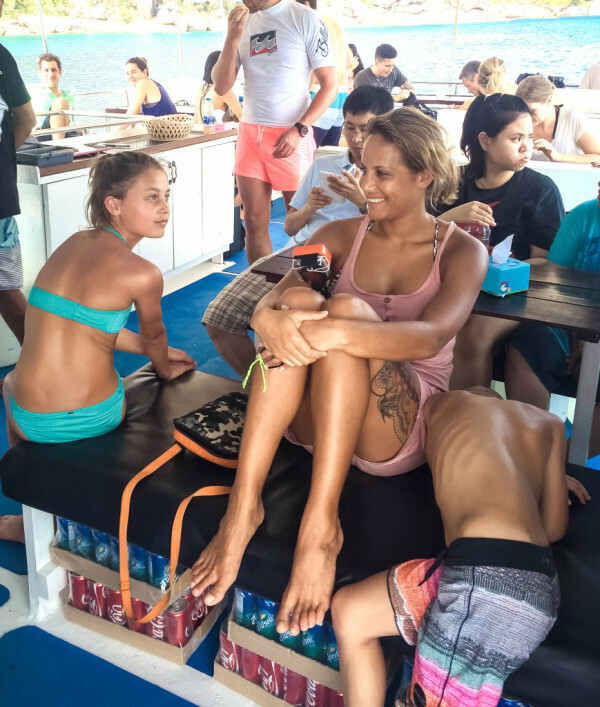 Traveling with your kids to Thailand? No problem! Be flexible on your trip, because a child’s mood and interests can change constantly. It’s THE worst horror scenario for parents: your child lost. From our own experience, we can strongly advise: never assume a friend or relative is watching over your kid. We did this once and lost our daughter for about 30 minutes at the airport (not cool, and thankfully she was OK). A simple solution is to write your own name and phone number on their arm. That way, if they are found, you can be contacted easily. It’s also possible to invest in a GPS tracking device. These days you cannot be careful enough and this way you might feel a lot more at ease. Some country’s really need some good preparation, for both pre- and during the journey. Does your baby need a visa? Should you bring medication, e.g. malaria tablets or get vaccinations? You don’t want to get caught out last minute. Check your local health authority for all the info. 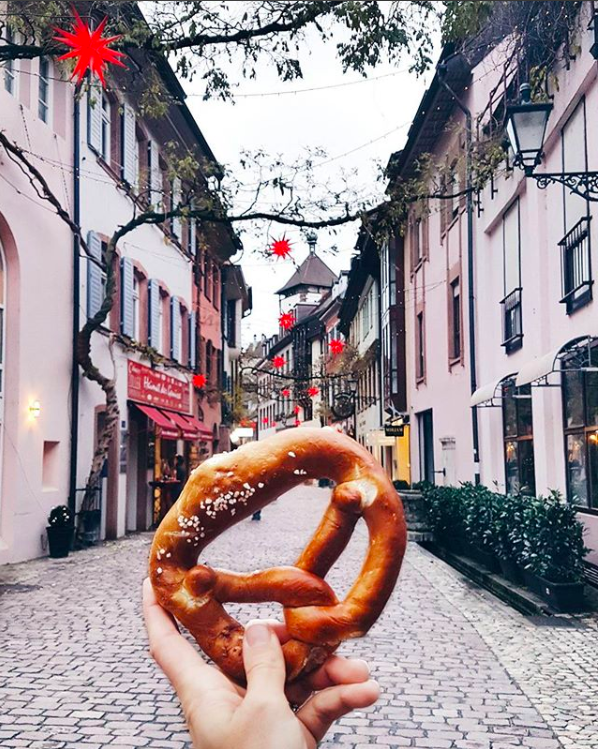 Of course, the goal of your travel is to create memories. Keep in mind that children need time to burn off energy and enjoy the company of other kids of their own age. Parents also need quiet periods to rest and some other adult-company as well. Be flexible on your trip, because a child’s mood and interests can change constantly. (but i’m sure you knew that!) If you and your kids find something else you’d rather do, be spontaneous and go with the flow. No stress means happy holidays! Go easy on your kids and leave the over-disciplining at home. This doesn’t mean you should let your kids run wild (this will not be appreciated by the people around you) but if you’re working on something with your child and it comes up on the plane, well you’re probably best to not use this as a learning experience. Keeping the kids calm is more valuable than using every teachable moment. Those around you will appreciate it. This certainly made my traveling experience a lot more relaxing! The summer is getting closer and it’s the perfect time to go out of your house and sit down in a nice café for a brunch or “merienda”. 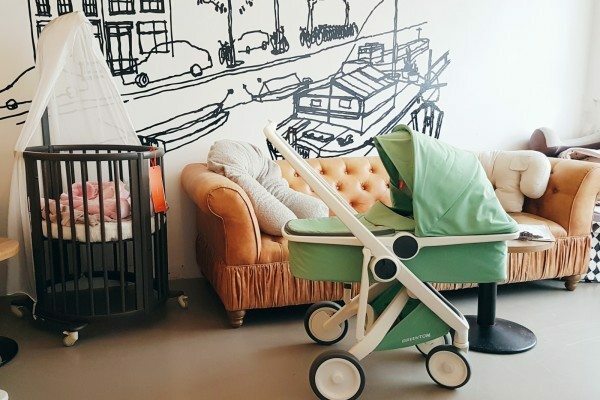 If you are a parent and want a café where you can easily get in with your stroller and enjoy an amazing coffee and at the same time let your baby have a great time; we have the perfect places for you! It is easy to fall into routines and always go to the same places, doing the same things. Let’s switch things up for the summer! Here are 10 child friendly hotspots in Barcelona curated by The Nannyline. Near Arc de Triomf we find the beautiful Parc de la Ciutadella, “the central park of Barcelona”. This 17 hectare big park is filled with fun, exciting things that the kids will love! We find a little café next to a majestic fountain. Right next to the café you can take a 30 min row boat ride in a little lake. The park also has a greenhouse, The Umbracle, filled with tropical plants. Moreover, probably the most exciting for the kids: The Zoo! Parc de la Ciutadella is nevertheless the ground for Zoo of Barcelona. Perfect place for your nanny to bring your kiddo. Test your kids animal knowledge outside the children’s books! In the zoo you will meet hippos, flamingos , monkeys and much more. 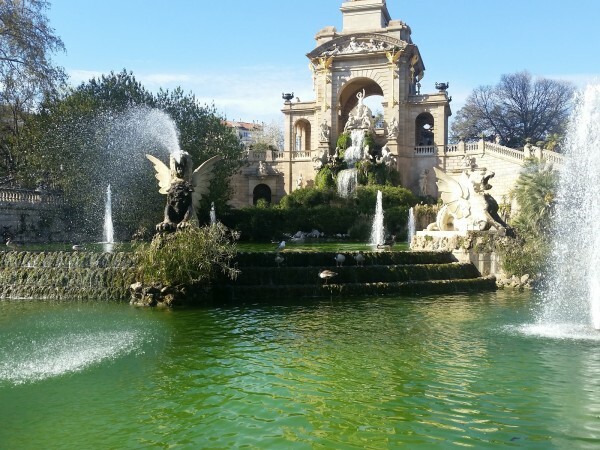 Parc de la Ciutadella is undoubtedly a park you can spend countless hours in. This is the place for both expats, tourists and locals to hang and enjoy the amazing city of Barcelona. Too hot outside and in need of air conditioning? 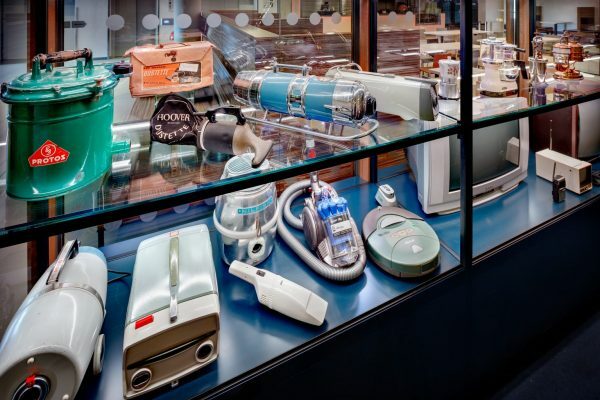 Explore the wonders of science in CosmoCaixa’s Science Museum! Your nanny and kid will definitely be entertained by this museum placed in northern Barcelona, Sant Gervasi. Boost your kid’s curiosity and creativity and explore the different interactive workshops and activities! 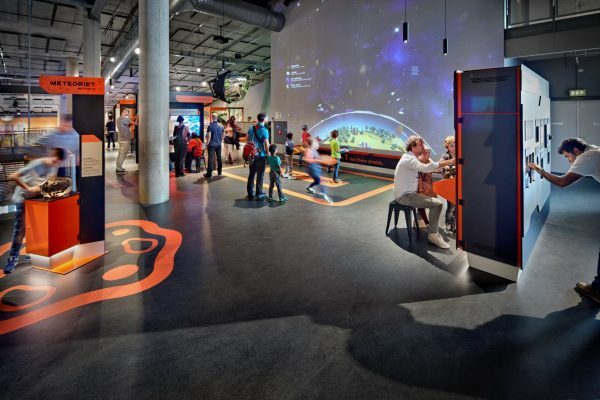 They have a recreation of an Amazonian rain-forest (Flooded Forest “Bosc inundat”), a planetarium taking you on a journey through space and time, and a creative space with experiments and games suitable for kids from 7 years and older. They also have workshops like ¡Toca-Toca! and Clik, where you are not only allowed, but supposed to touch, play and interact with different things. Near hotel W we find these two beaches. Great for kids because the water is shallow. A bit more quiet with space for a picnic and there is a playground nearby. A bit outside of Barcelona heading north we find Ocata beach. A big, wide beach with white sand. Perfect if you have the time and ability to go outside the city. Barcelona’s aquarium “ L’Aquàrium de Barcelona” will bring you on an fascinating underwater experience. Prepare to meet lots of different little and big sea friends. You have the guided Discover the L’Aquàrium’s secrets tour where they talk about how the aquarium works and how they take care of their fishes. A fun experience with lots of fun, new facts. You and your babysitter can of course also decide your own tour strolling around as you like. Barcelona’s aquarium also offers a clue game, handicraft workshop and a Q&A with the carers while they feed the fishes. Play in the maze of Parc del Laberint d’Horta! Barcelona’s oldest park located in Sant Andreu is the perfect place to spend a weekend or an afternoon. The green garden is filled with small squares, mythological sculptures, flower beds and a waterfall has a truly enchanted feeling to it, great for exploring! Have a picnic, get lost in the maze and discover all the different corners and places of this beautiful park. 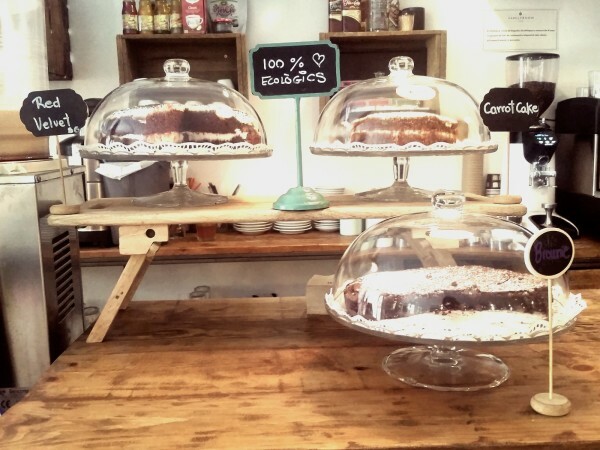 The wonderful coffee shop Pudding will make anyone fall for it’s charm . Beside the brunches, sweets and good food they offer they also have a special kid’s club. The club can both help you fix an awesome birthday for your child or provide you with a babysitting service. Located at Carrer de Pau Claris near Urquinaona metro station this coffee shop is a must when you are in Barcelona! This park , located in Sant Cugat del Valles is a lovely playground to bring the kids to. Parc Turó de Can Mates has four different zones: a flat green area with some trees and an outdoor gym, one area with long and fun slides, a climbing frame and a big sandbox. The park is easily accessible and has a good parking lot. Ask your nanny to take your kids here for the afternoon and let them explore the different areas of the park. Play in the sand, slide down the slides and climb the climbing frame! Mossèn Costa i Llobera Gardens is a botanical garden at the foot of Montjuïc. Here can your child explore over 800 different sorts of plants. The garden was actually built as an outdoor classroom for students of Escuela de Jardinería de Barcelona but is now open for the public. Take this opportunity to teach your kids about nature while looking at this rather unusual garden. Make sure to not stick yourself on the cactus spines! Baby Deli is a combined store and café. With a sophisticated interior design Baby Deli welcomes us with a warm feeling. This is the perfect place for the whole family. They sell baby food, amazing coffee, toys and clothes. While parents can enjoy a cup of coffee and maybe some snacks, the kids are free to play with a variety of books and toys. It is located close to Francesc Macià and has a nice park just one minute walking distance away. Definitely a new favorite place for the summer! Family Room Café is based on the idea of being “a place for families”. They offers healthy food and a cozy atmosphere on two locations; one in Les Corts and one in Sarrià. The café is spacious and light with nordic inspired interior design. The dried flowers in vases on the wooden tables gives the café a fresh, organic feeling. They have a playground for the kids in both cafés. In Les Corts they have cute wooden houses, toys, a little kitchen and a wooden horse. The Sarría café just opened about two weeks ago and offers a whole floor just for the kids! 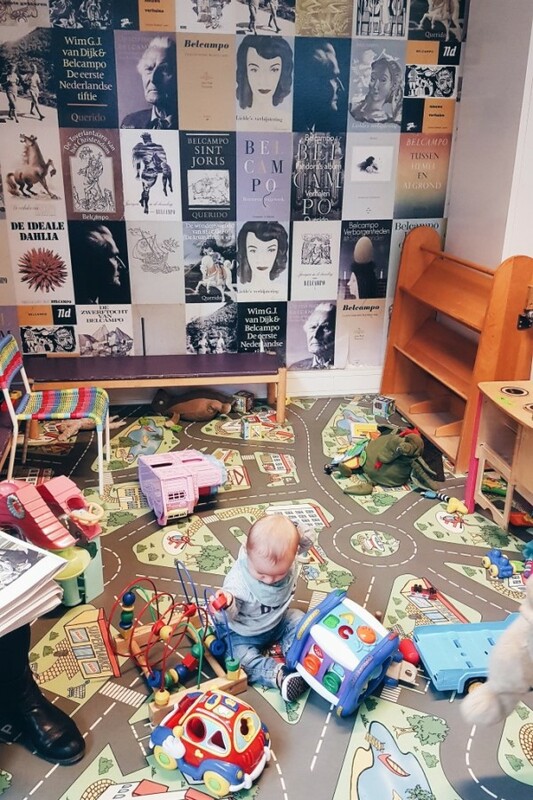 This is a place where you want to sit down for a couple of hours, eat brunch, drink coffee, relax while the kids have a whole room full of things they can enjoy. A must-see during the summer! Now that I’m a mother, I need to selectively search for those places where I can open my laptop, do some work, enjoy a coffee and breastfeed my baby without people giving me that strange look. Even though breastfeeding is totally natural and a necessity for your baby, some people still think it’s strange when a woman is breastfeeding her child in public. Boezemvriend is one of those places where it’s possible to do this without feeling weird about it while enjoying a tasty latte. As a new mother I know how tough the first few weeks can be when it comes to breastfeeding. Boezemvriend is a lactation consultancy practice, where you can ask all your questions about and around breastfeeding. You can also book a lactation consultant (if needed, they can visit you at home), you can follow courses and buy or rent breast pumps. (always handy!) If you want to check if it’s for you, you can join their monthly birth cafe where you can ask questions to a professional consultant and meet new parents, for free! 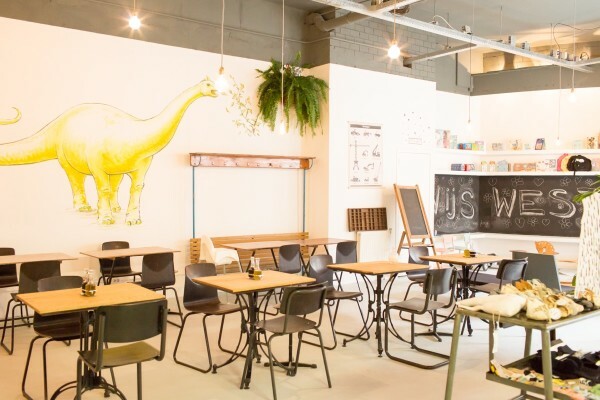 Who says that breastfeeding-friendly cafe’s can’t be cool? Here you can find all sorts of baby related stuff. From clothes, blankets, car seats, baby carriers to maternity wear. Labels are mostly organic and super stylish. 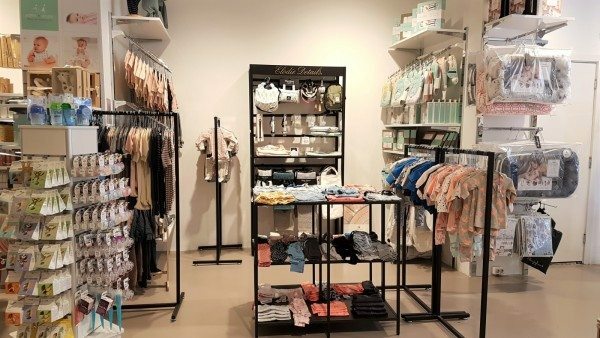 It’s not cheap but the quality is very good so if you want to score a great baby present for you or a friend, Boezemvriend is a great option! 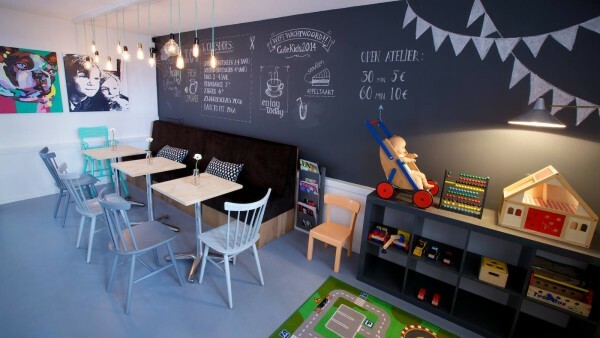 Who says that breastfeeding-friendly cafe’s can’t be cool? You can find me at this mummy hotspot from now on!